Promarks most durable Classic 5A ever. 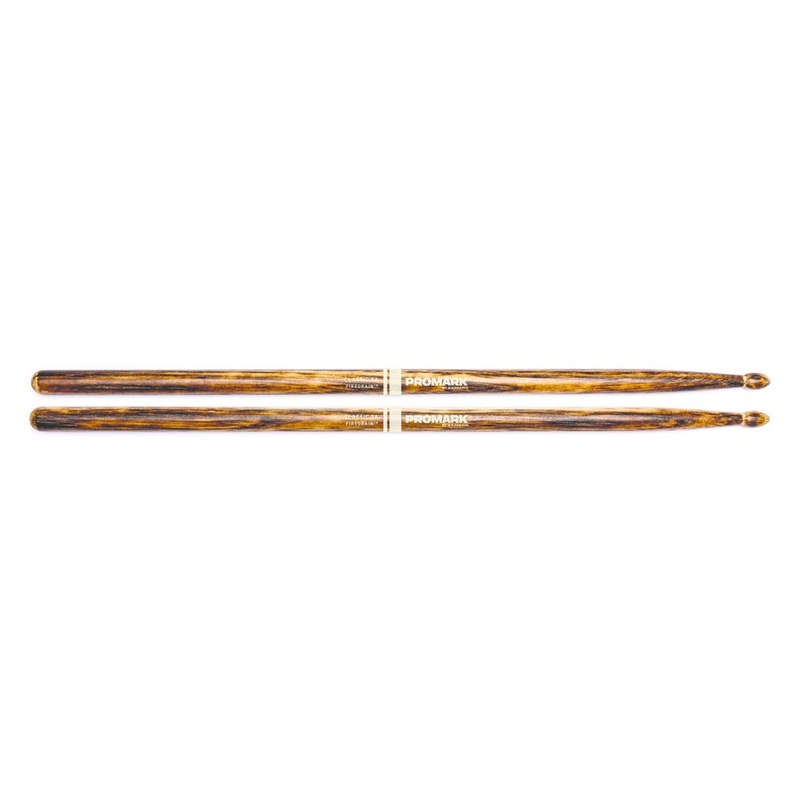 FireGrain is a revolutionary heat-tempering process that transforms ordinary hickory drumsticks into precision tools with unprecedented durability. While keeping their original weight, balance, and attack, Promark FireGrain sticks allow drummers to hit harder and play longer, naturally. No excess vibration, no space age gimmicks, just natural hickory, hardened by flame. Taper affects the feel and balance of a stick. A LONG TAPER produces a Back-Heavy Feel with more Flex and Faster Response. ASHORT TAPER provides More Power and Durability with a Front Heavy Feel. Surface coating: just natural hickory, hardened by flame. Tip shape and material have a big Impact on the sound a drum stick produces. VERY SMALL SURFACE AREA will Produce a Light Sound with Clear Definition.